Personal and Family Devotion including a Bible Study Talk Show. faith-believing families and generations, family businesses, building prosperity (poor or wealthy financially, academically, physically, and/or spiritually)? Praying for entertainment-celebrity figures that have a personal concern? You have now... --> Let's Have Devotion. Click Now To Listen To Former Broadcasts along with my personal-view commentary of daily/trendy topics and announcements. A faith-based guide: What is a GICPA Devotion Note? An online devotion-note from Sherlene to individuals and families following this talk show includes review and clarity of the discussion topic. Available Sundays, a GICPA Devotion Note on Facebook page, Sherlene Stevens. Click the Note section tab. Email, For personal direction or group prayer (two or more in agreement with your particular request). I would like to pray to you today. I am a sinner who wants forgiveness. Lord, I repent. I accept you as my Lord and Savior. I know that I may be challenged by my past as I begin to change my life, and that life as a Christian is not all good days. Right now, in Jesus name and with his help, I will begin my new life. I realize that God works through Jesus and the Holy Spirit. God is the "one" true and living God. Thank you for saving me. Amen. You are now saved. Its simple to say. Yet, it is up to you to view each day as a new day to keep the faith, focusing on personal goals that you have made. Pray for guidance, strength, and confidence in your new life. If you just want to talk or pray with another faith believer phone me. If you don't have a church-home or faith-based group-fellowship leader (unordained pastor), Welcome! Or, even if you do fellowship at a local church I know that this unique and very modern broadcast will encourage your unique household or family business. Sherlene Stevens, the Christian host, offers modern-day translations of the Bible for learning: street ministry encouraging fine artists and entrepreneurs, and other local, Bible-study meetings. A great setting for people involved in the fine arts, starting or growing entrepreneurs who desire to use biblical business-practice rules, and large families. Vision: A show shared with Sherlene's audience family, and to those who are fearful of religious settings (or have experienced temple-, mosque-, or church-hurt), or simply "I don't do the attend-a-church building thing, but I would like to study the Bible and social cultures." Sherlene encourages the importance of family traditions, and constructive family behaviors to increase family-bonding opportunities. 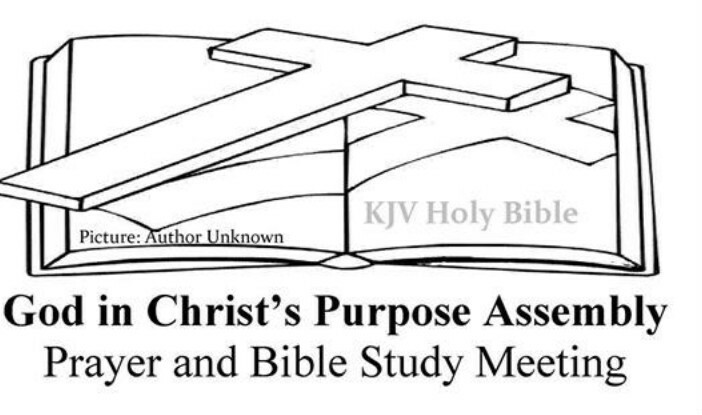 October 22 -- I would like to have actual meet-up places to discuss our weekly bible-study. Asking for a building space donation, or financially donation towards meet-up venue locations. Summer Schedule (May 1 - July 31). Correction: We will study the Book of Jeremiah [and] then the Book of Lamentations. I will resume my normal business hours beginning August 1, 2018. August 6th, we will begin the Book of Ezekiel. Dear broadcast audience, have a great summer! July 23 - 29 -- Minimum four minutes of prayer, each day, women. Lay prostrate (on the ground, on your family business place's floor, on your dwelling place's floor) with your head looking up to the heavens (sky). May 11 - 13 -- (Mother's Day Weekend). 2018 Devotional Internet Revival. Facebook/Facebook Group Page.